My story is a little bit different...but it is for those of us out there looking for answers about our "twin belly" with only one surviving baby in utero. 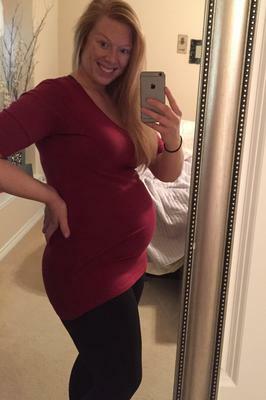 I had a confirmed case of vanishing twin syndrome, and along the course of this pregnancy my belly has grown RAPIDLY!! So, what I have here is (now) a single pregnancy, with a uterus that has not gotten the memo...and believes it is still "growing for 2"...Thus, the "Twin Belly". ...It's not all that unusual after all I suppose, and for the people who are shocked at my whale of a stomach when I state that I'm just this far along - and with just one, I gracefully wink & say "I AM growing a lumberjack ya know!" Hi First off I feel for you very much, I had a 8 WEEKS twin pregnancy confirmed in 1989. I struggled for some time, but the midwives doctors at that time feel was at least youve still one baby!! I wonder still who I lost at 14 wks, the resulting baby when told around 8 years old came to me telling me she'd always felt like something was missing like part of her is missing, this continued and even at 17 years old she felt odd . unfortunately I split with her father and she did not take it well and will not speak to us. So I don't know if this is the case today . But I hope for anyone who goes through losing a twin that you get better support than I did. Good luck for the future. Sorry to hear about your other twin, but I also praise God for your surviving baby!!! Can't wait to see pictures!! Be blessed! !